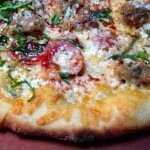 Pizza is the #1 food all dieters miss most! Guess what, Mama Whitnia says you can have a slice! 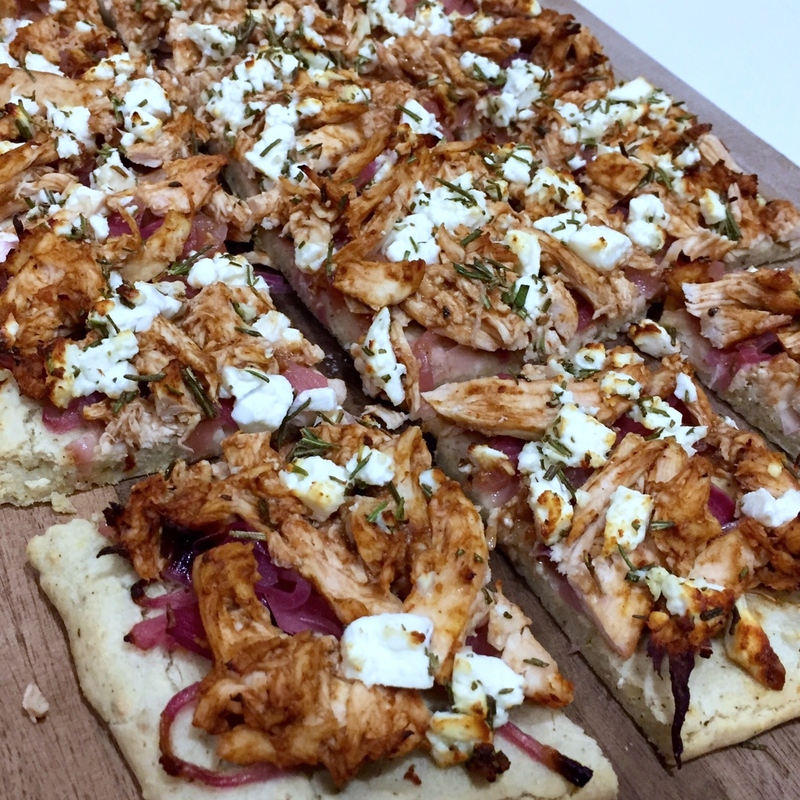 Here’s a quick and easy recipe for low fat, low sodium gluten free pizza at home. 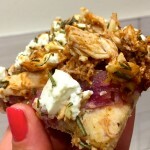 List of yummy healthy high protein toppings combinations following crust recipe! Preheat oven to 350 degrees. Line large baking sheet with parchment paper + sprinkle lightly with gluten free cornmeal. 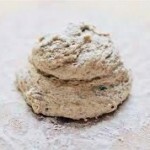 Combine gluten free flour + stevia in large mixing bowl. In small bowl, combine yeast with warm water, let sit for one minute, then pour over flour. Add beaten egg whites and mix to combine. Roll into ball. Pour olive oil on to ball and turn dough a few times to cover outside. Cover bowl with a plate and place on top of warming oven. Allow to rise for 20 minutes. You can roll out dough with rolling pin if desired, but I’m lazy. 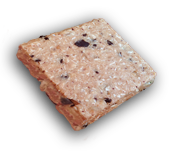 Save time by simply using floured fingers to spread dough to 1/4 inch thickness on parchment-covered cookie sheet. Bake about 5 minutes to lightly firm up dough. Remove from heat. Top with about 1/2 cup sauce then desired toppings. Bake @ 350 for 3 minutes, then raise temperature to 425 degrees. Watch until cheese “browns” to your liking. Try to eat without burning your fingers…Like you could wait! Traditionalist. Make sausage by crumbling 1 lb lean ground turkey and brown gently in skillet over medium-high heat with 2 cloves minced garlic, 1 tsp crushed red pepper flakes and (optional) 1/2 tsp olive oil if sticking occurs. Sauce crust with our MARINARA. Top with 1 1/2 cup meat, 1/4 cup diced fresh basil leaves + 1 oz shredded aged parmesan. Fresh unripened cheese, such as mozzarella, cream cheese + ricotta contain more lactose than aged cheeses). BBQ Chicken. Poach 1 lb boneless, skinless chicken breast. While meat is poaching, CARAMELIZE one medium red onion using white balsamic vinegar. Shred meat using 2 forks, then toss in 1/2 cup NO SUGAR ADDED BBQ SAUCE. Top pizza with bbq chicken, caramelized onion, 2 Tbsp finely diced fresh rosemary leaves + 2 cloves minced garlic, 1/4 cup creamy sheep milk feta. We love the Israeli feta sold under name Pastures of Eden @Trader Joe’s or Tnuva @ Costco. The Greek. Mix 3 Tbsp Sun Dried Tomato Pesto with 1 1/2 Tbsp warm water for sauce. 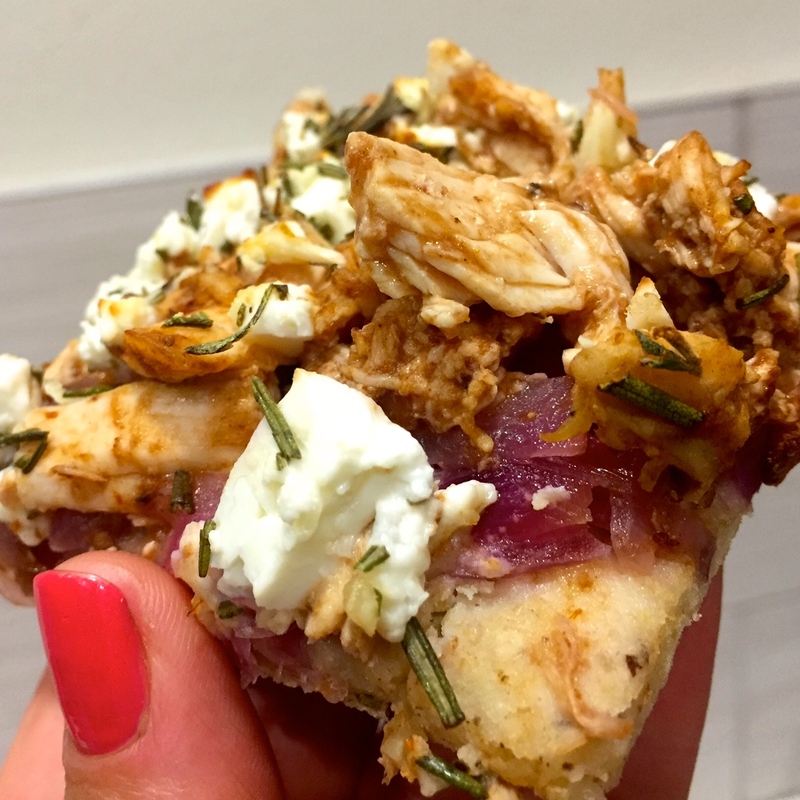 Top with 1 Tbsp oregano, chopped ¼ red onion, ½ red + ½ green peppers, 5 finely diced kalamata olives, 1 tsp fresh minced garlic, 1 oz crumbled sheep milk feta or goat cheese. Top with 1 1/2 cups protein of choice such as lightly cooked shredded meat or browned ground meat, such as lamb, beef or chicken. The Hawaiian. Sauce crust lightly with our MARINARA (about 1/4 cup). Top with 1 cup uber-thinly sliced Canadian bacon, 1/4 finely diced red onion + 1/2 cup finely diced fresh pineapple.